And so it came to pass. It’s finally happened. Warren Gatland has decided to go with “Augmented Wales” for the final test against the Aussies. It could have been worse. Apparently Bryn Terfel, Tom Jones, Rob Brydon, Shirley Bassey and H from Steps all failed late fitness tests. Conspiracy theorists might say that Gatland has one eye on the 2015 World Cup. I couldn’t possibly comment. He has simply picked the best players available from the British Isles. Not rocket science. That's a matter of opinion not fact. This year's 6n was fairly open and very mediocre. No one side shone to the extent that a combined home nations side should be dominated by such an extent. 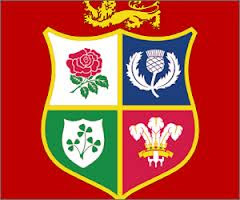 Hibbard has been flaky, Lydiate very ordinary, Phillips abysmal. JR/ JD2 had one good game in 6n against England. And there is the problem. Gats has chosen a team to beat england at cardiff.